Dancing isn’t just fun, but it is good for you too. It’s a great cardio workout and burns calories. It can also be an activities for all ages of people, from the tiniest of tots to the oldest among us. It is something that you can always do by yourself, but is really fun to do with lots of people in a group. Which is why one dance studio decided it would be fun to do a group dance activity, but not with just the students. 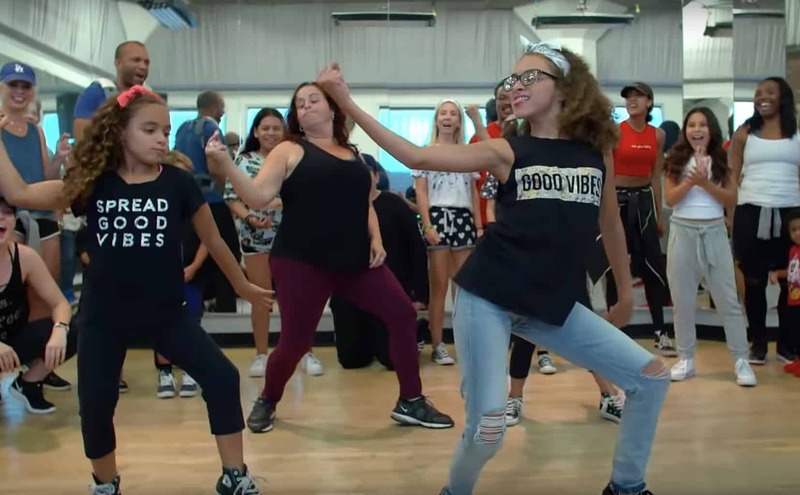 They decided that it would be fun to get all of the parents involved in a dance too, so they invited not just the kids to take a few lessons, but their parents too, including both mom and dad. Even older and younger siblings got in on the fun. Choreographer Phil Wright created a dance routine that everyone could get in the groove too. The group performed their dance to Earth Wind and Fire’s song “Let’s Groove” and is flat out fun to watch. The choreography is brilliant and you can’t help but want to get up and dance watching it. Seeing the parents and kids dancing together will really put a smile on your face, even if you don’t want to put on your dancing shoes. But if you feel like dancing, even if you think you aren’t the best dancer, don’t be afraid to put on some music, grab your kids or parents, and get your dance on! Check out the video below and be sure to share it with your family and friends. They won’t want to miss this upbeat video.